MOSCOW, April 14. /TASS/. 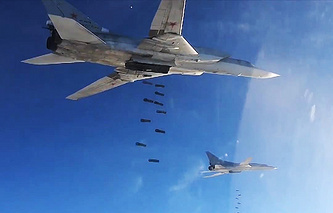 Reports on the delivery of Russian-made Sukhoi Su-24M2 (NATO reporting name: Fencer-D) frontline bombers to Syria in April this year have nothing to do with reality, spokeswoman for Russia’s Federal Service for Military and Technical Cooperation Maria Vorobyova said on Friday. Some media outlets reported earlier that Russia had delivered ten modernized Su-24M2 bombers to Syria. "Information on the delivery of Su-24s to Syria in April 2017 has nothing to do with reality," Vorobyova said. The Su-24 is a tactical frontline bomber with a variable-sweep wing. The bomber is designed to deliver missile and bomb strikes in any weather conditions, in the daytime and at night, including at low altitudes, and destroy ground-based and surface targets with precision weapons. 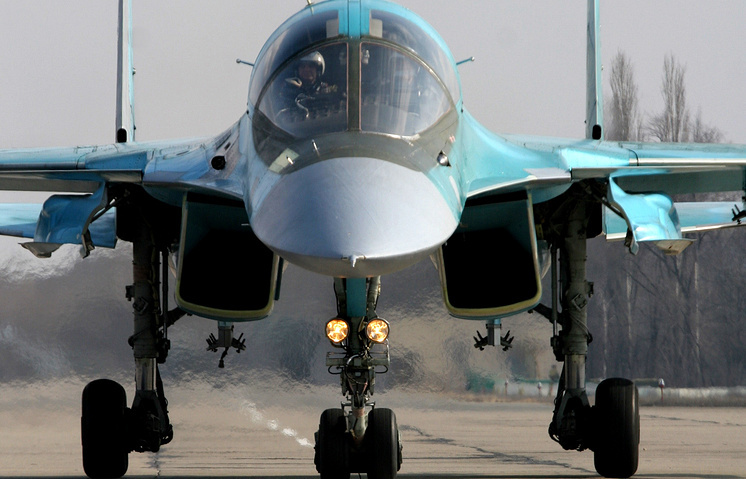 According to public sources, the Syrian Air Force operates several bombers of this type.